The full results of our study have finally been published this week in the Annals of Allergy, Asthma and Immunology and Australian Doctor has also reported on our paper. The purpose of the study, which was conducted at Southport Acupuncture Clinic, Queensland Allergy Services Allergy and Griffith University, was to investigate how the immune system changes in response to acupuncture when treating allergic rhinitis. The study was funded by the National Health and Medical Research Council and all acupuncture needles for the study were generously donated by Helio Supply Company (Sydney). I would like to thank all of the 151 allergic and 20 non-allergic volunteers who participated in the study, and all of the research team. Prof Allan Cripps (Pro-Vice-Chancellor Health at Griffith University), Prof Pete Smith (Allergy Specialist and Griffith Professor) and Prof Charlie Xue (Head of Health Sciences at RMIT) were my three supervisors and Associate Professor Caroline Smith (Western Sydney University) and Associate Professor Brenda Golianu (Stanford University) completed our team. 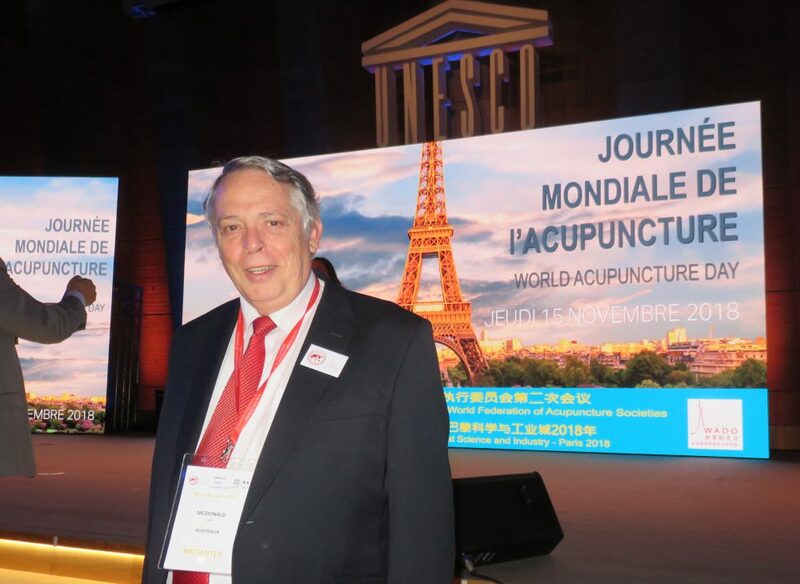 I have been most fortunate to have the opportunity, as a first-time researcher, to work with such a wonderful team of people, and to be able to investigate how acupuncture works, a question which has always fascinated me. This study formed the basis of my thesis for Doctor of Philosophy which was awarded on 16th April 2105. So what did we learn from this study? Firstly, we did see clear evidence that the immune system changes in response to acupuncture and that symptoms continued to improve four weeks after the treatment ceased. In other studies, this improvement has been shown to last for 3 months, and but even at 6 months, although symptoms were starting to deteriorate slightly, they were still much better than before treatment. In clinical practice, a “top up” short course of treatment is therefore recommended if symptoms begin to recur after 3 months. The symptoms which improved most were nasal congestion, runny nose, sneezing, nasal itch, eye itch and unrefreshed sleep. Post-nasal drip and sinus pain did not improve. Based on the observation from past studies that all of the studies which used less than 12 treatments and treated less than twice weekly had produced poor or mixed results, whereas all of the studies providing 12 treatments or more, at least twice weekly had been very successful, our study treated twice weekly for 8 weeks. A previous study at RMIT in Melbourne by Prof Charlie Xue and colleagues used twice weekly treatments for 8 weeks rather than 6 weeks so we decided to use the same regimen. Of those who received real acupuncture in the study, 86.1% of participants showed significant improvements in symptoms and quality of life. Other studies have reported responder rates between 84.6% and 95.8%. Acupuncture treatment has been shown to be very safe with total minor adverse events rate in this study (such as transitory pain on needle insertion or slight bruising) of 3%. Other studies have reported adverse events rates from 0.15% to 4.2%. In April 2015, the American Academy of Otolaryngology Head and Neck Surgery Foundation updated their Clinical Practice Guidelines for allergic rhinitis in which they recommended acupuncture as a treatment option for patients preferring a non-pharmacologic therapy. A study in Germany found acupuncture is also cost-effective as a treatment for allergic rhinitis (Witt et al, 2009). So, in a nutshell, acupuncture is a safe, effective and cost-effective treatment for allergic rhinitis which produces lasting changes in the immune system and hence improvements in symptoms and quality of life.